:) I have a couple eyeko polishes. I can't wait til you swatch these on your nails! Yeah I like them too! I'm very curious for the application, so I'm gonna try some this weekend! lucky girl! these look awesome! I love vintage girl! Congrats on winning! I really want Military...I'll have to save up for an Eyeko haul! Oh I like these colours!! Thanks! 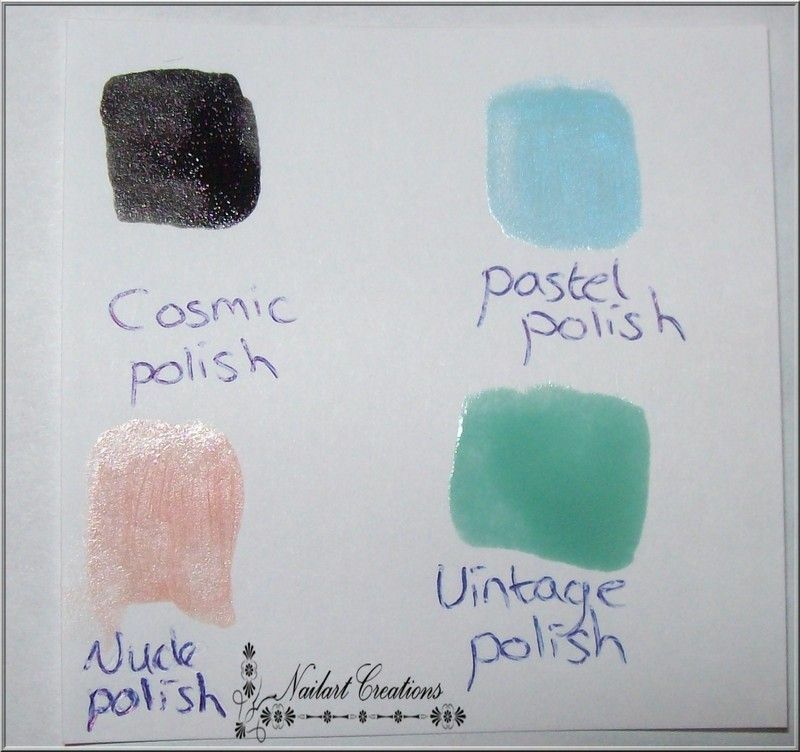 I will swatch Vintage this weekend! Yes I like Military too! I will swatch that one too! Gorgeous polishes. 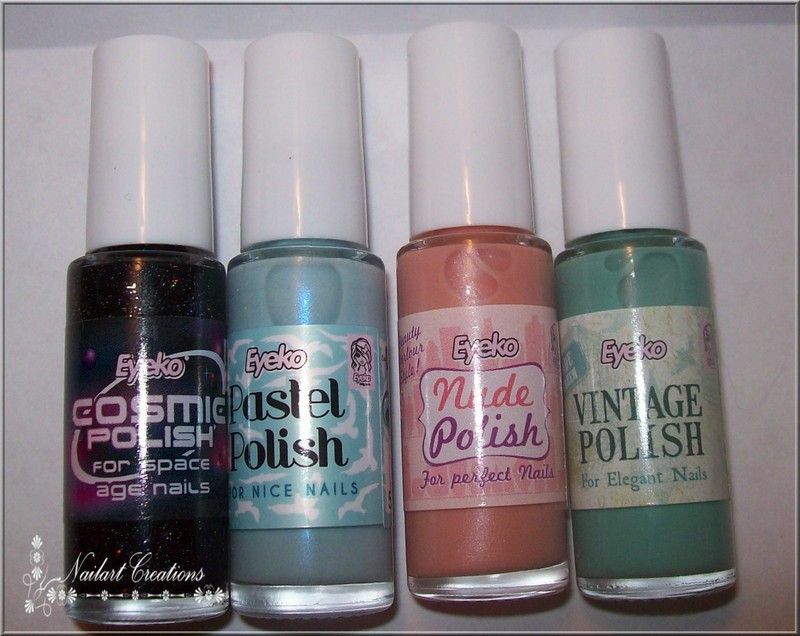 I have been wanting to try Eyeko polishes for a while, especially Chi Chi & Punk Polishes. Thank you for the swatches; they all look so pretty! 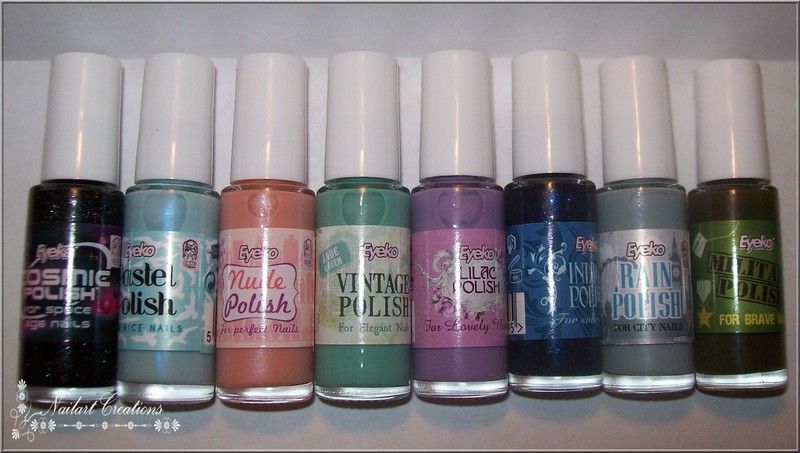 Vintage Polish! Die vind ik zo mooi. En die eerste, cosmic polish, lijkt me zo mooi. Mooie! 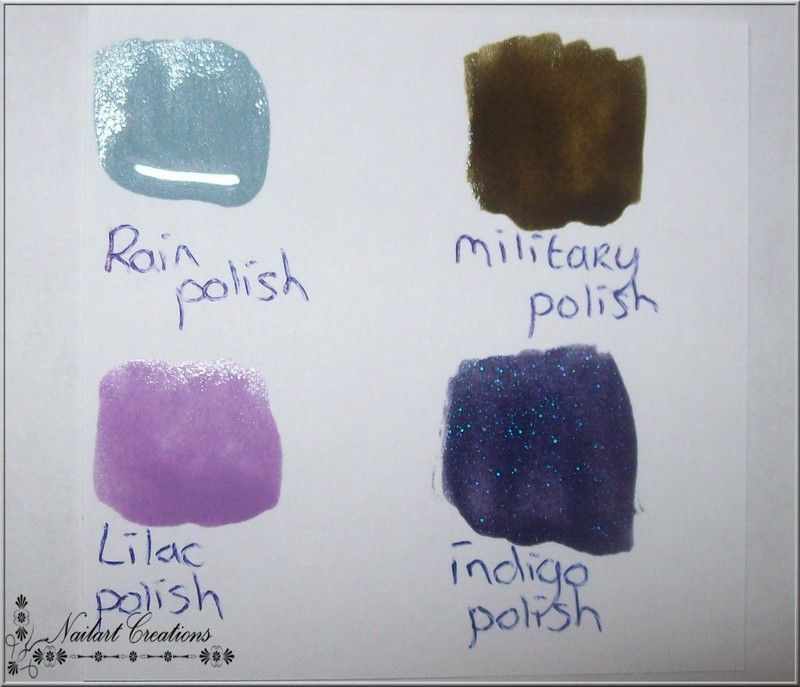 Ik wil die indigo polish wel geswatcht zien!